A changing of the guard at Blacktown City doesn’t mean they should be written off according to head coach Mark Crittenden who insists his young side can be a surprise packet this season. 2019 will be one of Crittenden’s greatest challenges in his time as Blacktown head coach as he attempts to rebuild the side after it was gutted in the offseason after a player exodus. Zach Cairncross, Giorgio Speranza, Roberto Speranza, Mitch Mallia and Connor Evans have been regulars on the City team list for the past five seasons but they have all made the move to Marconi.  Their departures has left Blacktown without a big part of the playing group which guided the club to two NPL NSW Championships, an NPL NSW Premiership and an NPL Australia title between 2014 and 2018. While the playing roster from last season may have been stripped of much of its experienced stars, Crittenden is confident his young squad can exceed expectations. “It has been a big shakeup at the club but the way I look at it is now there is a great opportunity to give some quality youth players their chance,” Crittenden said. “There is no point in dwelling on the boys who have left. Obviously their priorities have changed and with our smaller budget at the club we were unable to stop the team being ripped apart. “We still have a number of experienced boys who have stayed and I have full belief that we will still be a tough and competitive team no matter who we play this year.”That experience is sure to be leaned on more and more this season with veteran stars Joey Gibbs, Matt Lewis and Blacktown’s 2018 player of the year Grant Lynch sure to carry the load. It wasn’t all just departures this off-season for Blacktown with the club bringing in former Young Socceroos forward James Demetriou and rising star Leroy Jennings. Crittenden admitted there is sure to be teething issues this season but said fans should expect to see the same ‘never say die attitude’ which has been a hallmark of Blacktown under his tenure. “It will be a younger team this year and with that comes a bit of naivety which I don’t doubt will occur from time to time throughout the season,” he said. “In saying that the boys are working extremely hard to achieve the goals we have set for the year. The much loved coach revealed the shakeup at the club has given him a chance for some personal development. “The whole situation coming into this campaign has really changed my thought process and approach,” he added. “As a club we have been reasonably successful in recent years so it would be easy to just copy the formula. “However, I don’t want to be caught just sitting on my hands which has helped encourage me to change up the way I do things. Blacktown open their season against Mt Druitt Rangers at Lily Homes Stadium on March 10.